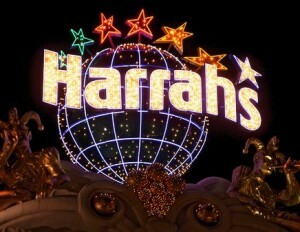 Business Week broke the story that Harrah’s has reportedly put the home of the World Series of Poker up for sale, which leaves many people wondering where the WSOP will be played should the Rio be sold. Business Week’s sources put the purported asking price for the Las Vegas Casino at $500 million. Harrah’s recent acquisition of Planet Hollywood Casino, located on the strip, has made The Rio an expendable commodity –The Rio is located about a mile off the Las Vegas Strip. Whether the sale happens or not the 2010 WSOP is scheduled to take place at The Rio regardless. The Rio has been the home of the WSOP since 2005, when it first moved from its original locale at Binions Horseshoe. Of the numerous Las Vegas properties owned by Harrah’s the likely landing spots for the WSOP are the aforementioned Planet Hollywood, or Caesars Palace. Both casinos have the space and accommodations to handle the mammoth tournament and both casinos are located centrally on the strip. The leading candidate would be Planet Hollywood which is more of an up-and-coming casino; where Ceasars is already a very well-known and busy casino. This entry was posted on Thursday, April 29th, 2010 at 8:28 am and is filed under Poker Industry News. You can follow any responses to this entry through the RSS 2.0 feed. You can leave a response, or trackback from your own site.